The most successful ads are those that are accurately targeted toward your audience when they’re in the right mind frame to make a conversion. With Google AdWords Dynamic Display Ads, you can now create ads that are tailor-made for your target audience. And the best part is, if you’re already participating with Google AdWords, there’s no additional cost. There are many potential benefits to this feature, such as being able to show off different products or calls-to-action based on a specific page’s content, customize your ads based on a user’s past interactions with your site, and show users different languages and currencies based on their location. But then there’s also the convenience factor. To break it down into layman’s terms, let’s say you sell 1,000 products. Right now you probably spend your time creating 1,000 different ads, one for each of those products. Or, like many other online retailers, you decide to create ads only for a select few items. That way you’re not spending all of your hours creating ads. But, with Google’s Contextual Dynamic Creative Template, you can create one single ad, and Google will then alter the ad for each of your products. Not only that, but Google will also syndicate out that product in a specific ad, based on specific pages you’re advertising on. In short, yours ads will be targeted to each sub-niche of your potential customers, and all you had to do was create one ad. So, what’s my obligation as a merchant? Good question. Obviously you have to do more than just create one ad, right? It can’t be that simple. Well, actually, it really is. One of the first steps you need to do is decide which websites you want to advertise on. Based on that information, Google will pick the right products that match the content of those sites. Well, we really wouldn’t call it so much of a catch as it is a reminder that your Google data feed needs to be in tip-top order. Yes, Dynamic Display ads will save you time in the long run, but only if your feed is in stellar condition. What’s that mean? It means that your feed in constantly updated to reflect accurate data, and it’s as detailed as possible. This includes adding additional labels in your feed, when necessary, to target different factions of your groups. • Nearly 96% of users who visit an ecommerce website, leave without completing an action. • 70% of potential customers start creating a shopping cart, but still leave without buying. The only way to truly take advantage of the AdWords Dynamic Display Ads feature is to ensure your data feed is as detailed and complete as needed. That alone is a hefty task to take on. 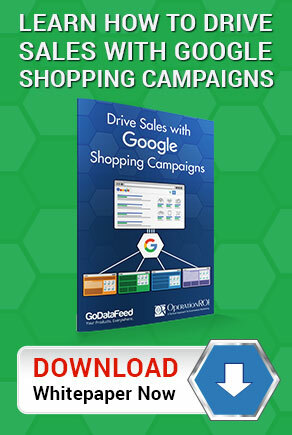 Data feed specialists, such as OperationROI, can not only help you refine and improve your feed, but can help you create a long-term plan for your AdWords campaign, including infusing Dynamic Display Ads into the mix. 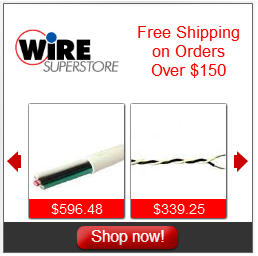 Call us at 1-888-277-5329 or fill out our contact form to find out how we can help you.